The all-wheel drive models not only include the numerous optical refinements of the new 911 Carrera generation but also have their own individual distinguishing characteristics. For instance, the light strip between the rear lights now produces an especially distinctive effect thanks to its consciously three-dimensional design. When switched on, the light reinforces the impression of depth. The light strip also underlines the typical format of the all-wheel drive 911, with rear wings that arch further outwards by 44 millimetres in total, as in previous models. 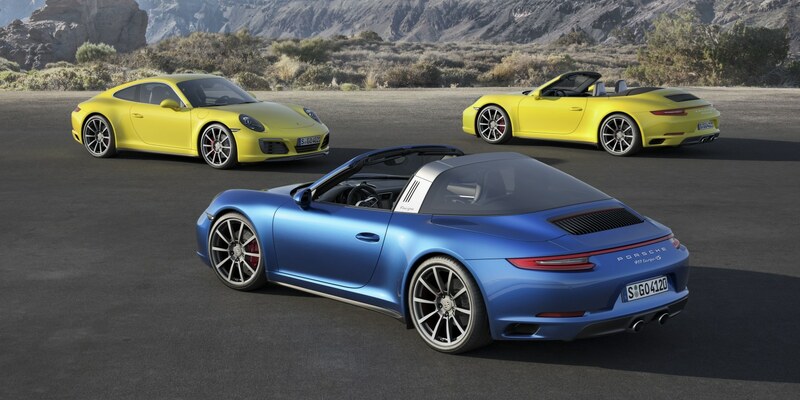 Additional distinguishing features of the new 911 generation range from the headlights with four-point daytime running lights, via door handles without recess covers, to the redesigned rear lid with vertical louvres and new rear lights - including the characteristic four-point brake lights.